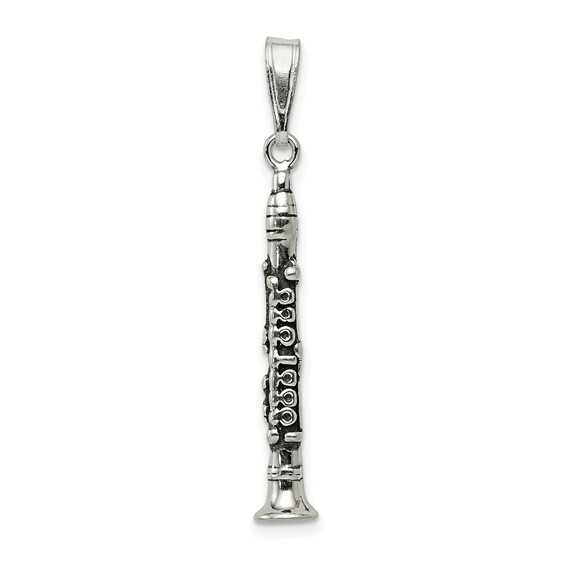 Clarinet charm is made of antiqued sterling silver. Item size: 1 inch tall by 3/16 inch wide without bail. Weight: 2 grams. I would recommend Joy Jewelry! ! My grandaughter, loved this piece since she plays the clarinet.